And yes, I have some new posts coming your way soon! He even did a Rolling Stones song that is probably not that well known (Backstreet Girl). Indeed, he did...he was a huge Rolling Stones fan and loved the Beatles as well. Dean Martin supposedly hated rock and roll, but Bobby embraced all types of music and whoever was on the charts. I can't help but think had he lived another decade he would have dug some of the '80s artists as well. What book would you recommend to read about his life? I take it there may be more than one. 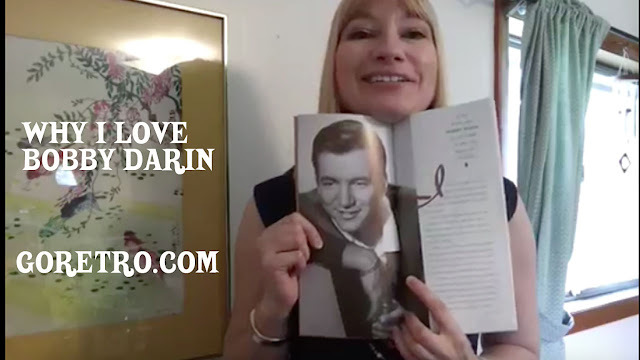 The one I read and enjoyed is called "Dream Lovers: The Magnificent Shattered Lives of Bobby Darin and Sandra Dee" written by their son, Dodd Darin. He doesn't sugarcoat their faults, but it's still an informative and loving tribute to his parents. There actually aren't too many books where Darin is the subject. There's another biography that came out in 2010 called "Roman Candle: The Life of Bobby Darin" which I have not read yet.